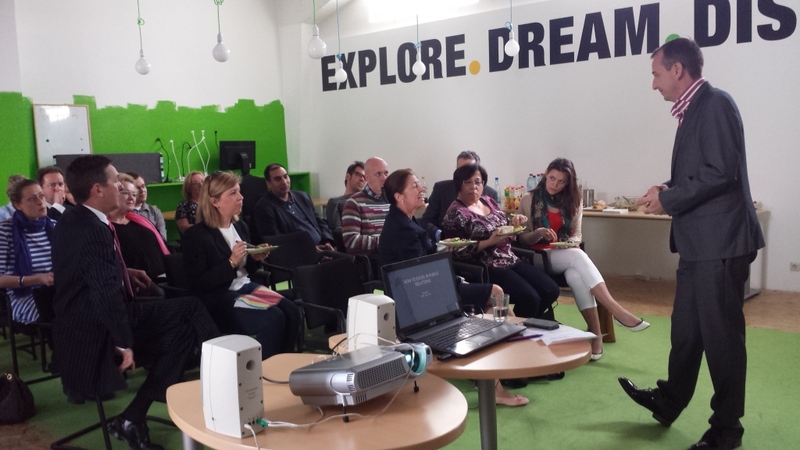 On Wednesday 2 April, 25 an eclectic mix of professionals gathered at The Impactory to take part in session about how to excel in PR presented by Jim Kent, CEO of TheINsiders, Luxembourg-based marketing and PR agency. The presentation started with a general introduction to branding and finding out what feelings and emotions these brands provoke. What they make you think and what they make you feel are two different channels by which they evoke reactions within the public, ranging from stress and exhaustion to freedom and success. Jim Kent asked guests to consider how they are perceived as individuals and how their business is perceived. It is not easy to be honest as how we would like to be perceived and how we are perceived can vary greatly. Taking the time to manage your PR can give you an element of control over how the public perceives you. Something as simple as a handshake can leave an important first impression. ”I usually get feedback on mine for being too firm. Well, at least I left an impression,” said one attendee. Jim reminded the audience that public relations methods vary depending on the different stages in your client relationship life cycle. “I want to set up a new business, how I can influence its success by applying PR tools is very motivating,” a participant commented. The workshop proved useful to all attendees who joined in enthusiastically and contributed by sharing their views and experiences with the group. The Impactory provided a light lunch serving as a great opportunity to network and continue the discussion.